Start your Sri Lanka holiday hassle free by pre-booking this private transfer by air-conditioned vehicle to hotels in Colombo City. Your friendly and professional driver will greet you upon your arrival and drive you directly to your hotel/accommodation in Colombo. Sit back and relax as a professional driver takes care navigating the notoriously busy roads. 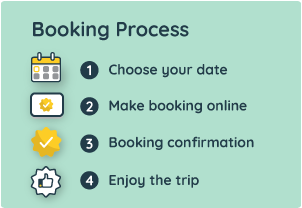 Complete Operator information, including local telephone numbers at your destination, are included on your Confirmation Voucher sent by e-mail & text message.